Who needs to travel to New England to see fall foliage? As it turns out, you can drive less than an hour and still catch a spectacular autumnal display over the Hudson River. 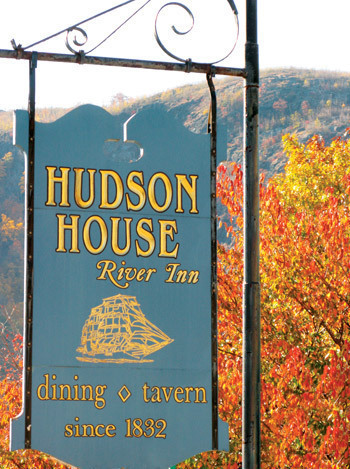 And the best place to take it all in is the Hudson House River Inn in Cold Spring. The Inn itself, sitting majestically on Main Street and cozied up to the River, dates back to 1832 and is on the National Register of Historic Places. Guest rooms have that comfy bed-and-breakfast feel, with antique-looking furniture, floral bedspreads, and patterned wallpaper. But, opt for a room with a full balcony, and chances are you’ll ignore the rest of your accommodations for a chair out on the terrace, where you can look across the River to the wooded Storm King State Park. Click through to read the rest of the article.